Lopez can be seen playing a Fender Mustang Bass in this photo. "One unexpected by-product for Auerbach was a venture into the four-string realm. “I played a lot of bass on the record, I feel like I have turned a corner on bass in recent years, started to figure it out more. I use a short-scale Fender 60s Mustang bass through an old Triad.”"
In this video, the bassist Kevin Baird is playing a Fender Mustang Bass. You can see Simon (Bonobo) playing his mustang bass in this picture. There are also several instagram posts of his studio showing the bass in his studio. 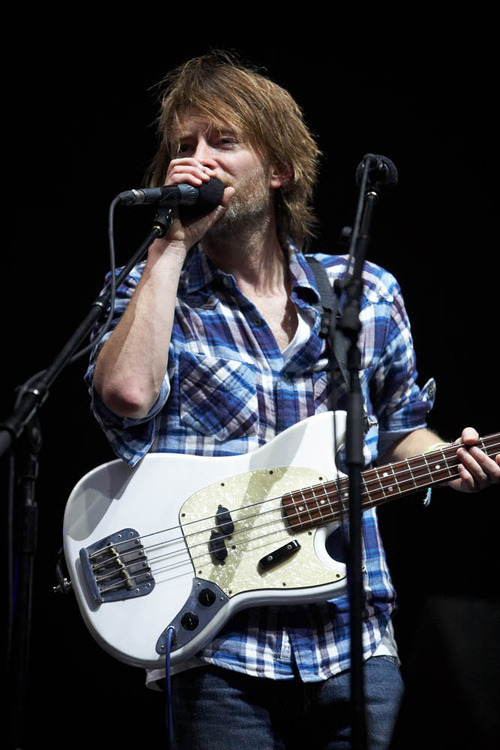 In this photo, and [this photo](http://38.media.tumblr.com/tumblr_m7y2gzlku41qa1wxx.jpg), Thom can be seen playing a Fender Mustang Bass. At around 1:00:23 in this video, Guy Berryman can be seen playing a white Fender Mustang Bass. This bass has only ever been used a few times by Guy, this concert being one it's rare appearances. There is a clear shot of Czukay playing a Fender Mustang Bass at 1:02 in this live performance of "Spoon" by Can. 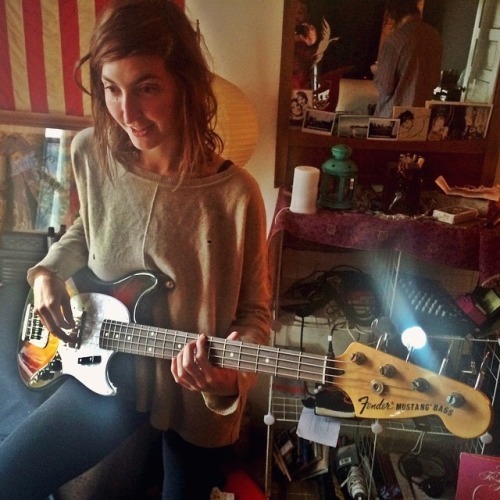 In this picture you can see Emily play a Fender Mustang Bass in Sunburst Finish. The Bass is likely vintage. Flowers can be seen using a black Fender Mustang bass live with The Killers, performing "For Reasons Unknown," with a clear shot of the bass at 0:58. Wyman can be seen in this photo tuning up his Fender Mustang Bass. Redding can be seen in a photo on this site playing a Fender Mustang Bass.
" Colin had Aria bass but most tracks done on Fender Mustang 1972 and Ampeg SVT..."
On the 2011 tour for the album "Move Like This" Greg Hawkes would let the sequencer take over and perform on bass guitar on a few songs, typically "Touch and Go", "I'm In Touch With your World", and one other one that escapes me. While many places cite this as a Bass Benjamin owned - that was actually a very valueable white Fender Active Precision Bass was only used on the record by Greg (there's a photo of that one on Facebook), Greg probably opted to take the Mustang on tour so Benjamin's bass would stay safe from damage/theft on the road. SHORT EXPLANATION - I was there. I went to the March 10 2011 show at the Seattle Showbox SoDo - first stop on tour. 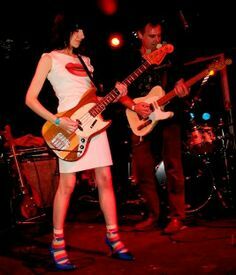 I also have owned the same Mustang Bass (not the exact one, but one extremely similar - same color, same pickguard, almost identical save for the grain of the wood and pickguard) to Greg's - It's a Vintage White CIJ/MIJ version which were issued sometime around 2003 AFTER Ben passed on. 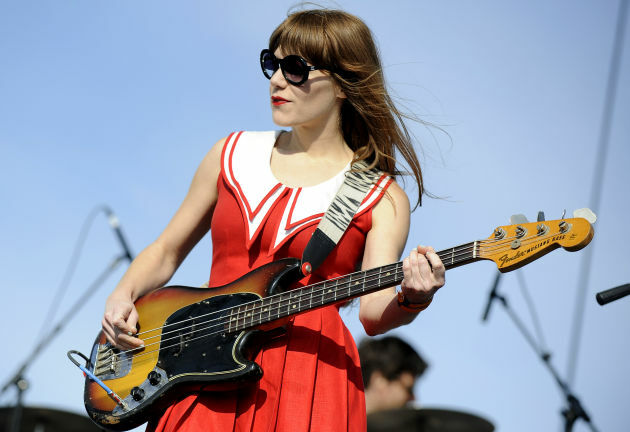 In this picture, Jenny Lewis can be seen playing a Fender Mustang bass. Reignwolf can be seen here on a Mustang Bass. 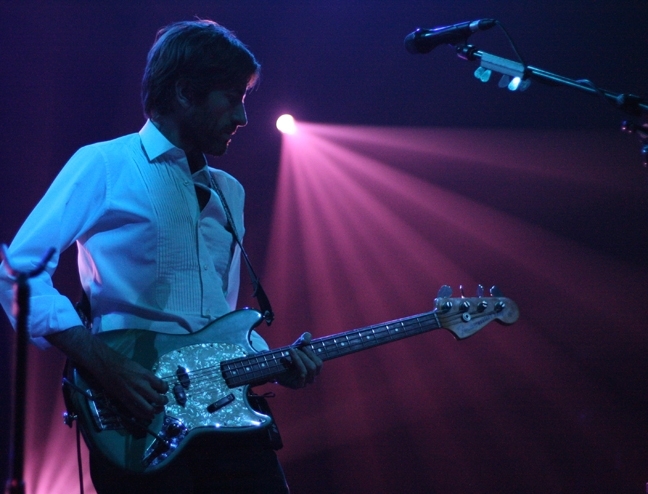 Danger Mouse can be seen in this photo playing a sunburst Fender Mustang Bass. At 0:13 and throughout this performance, you can see that Mikey Way is using a red Fender Mustang Bass. In this photo, Harvey can be seen playing a Fender Mustang Bass. In [this interview](http://pinoysijerome.blogspot.dk/2007/07/bass-guitar-gear-of-tim-foreman.html) Tim talks about his gear. 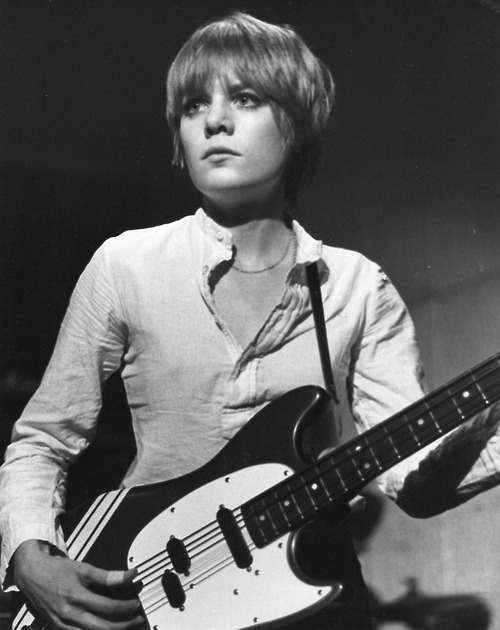 He says , "I also used my ’70s Fender Mustang Bass on a couple of songs; it sounds like a messed up Fender Precision." "I bought this off Nathan Sudders of The Whip, who also played with Guy [Garvey] on *Courting The Squall*. It’s on every track on *Little Fictions*. It’s a really nice, short-scale bass – totally playable. 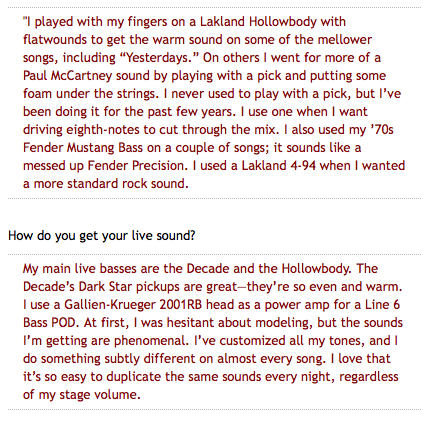 This was the first time I’d used it: on previous albums, the bass you hear is a Fender Jazz. It worked brilliantly for ‘Magnificent (She Says)’, really delivering the sound we all wanted on the bottom end of that tune. It helps that it looks cool as well. I’d like to work it into more of the older stuff and see how it delivers live on those tracks." "Fixed it. (This bass is incredible.)" 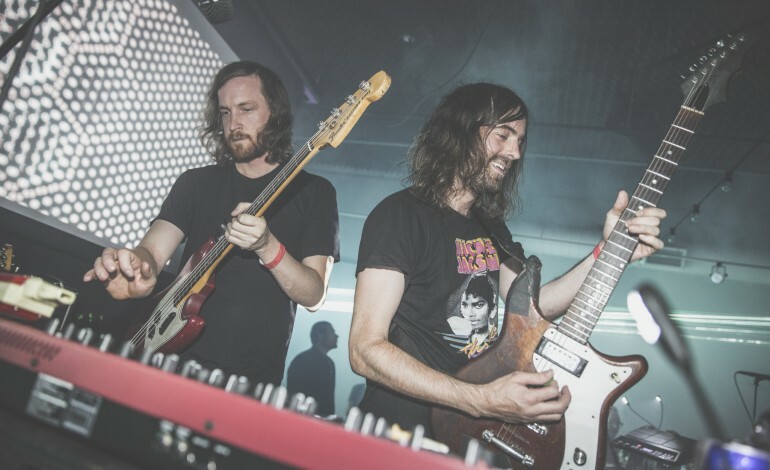 In a few of the pictures of Television´s performances in what´s suposed to be the late 70´s, it is possible to see Smith playing with a Fender Mustang, although is not really his instrument of choice. At 1:36 you can see Richard Swift playing Fender Mustang Bass. 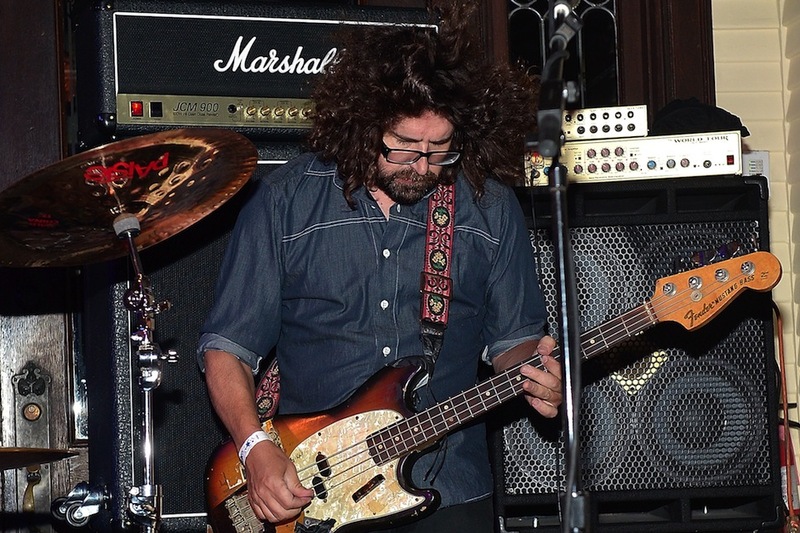 Tichenor can be seen playing a Fender Mustang Bass in this photo. Here you can see Fruse using a Fender Mustang Bass. 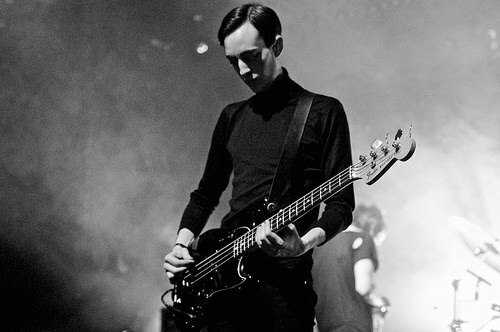 Rhys can be seen here playing a Fender Mustang Bass. "Falkner's lead workhorse is the same '73 Mustang he's had since he was 12, and his lone Les Paul concession is a '58 TV Special. Falkner played all of the instruments on Presents, including an early '60s Mustang bass - "a yellow model with red racing stripes." Finn can be seen in this photo playing a Fender Mustang Bass. 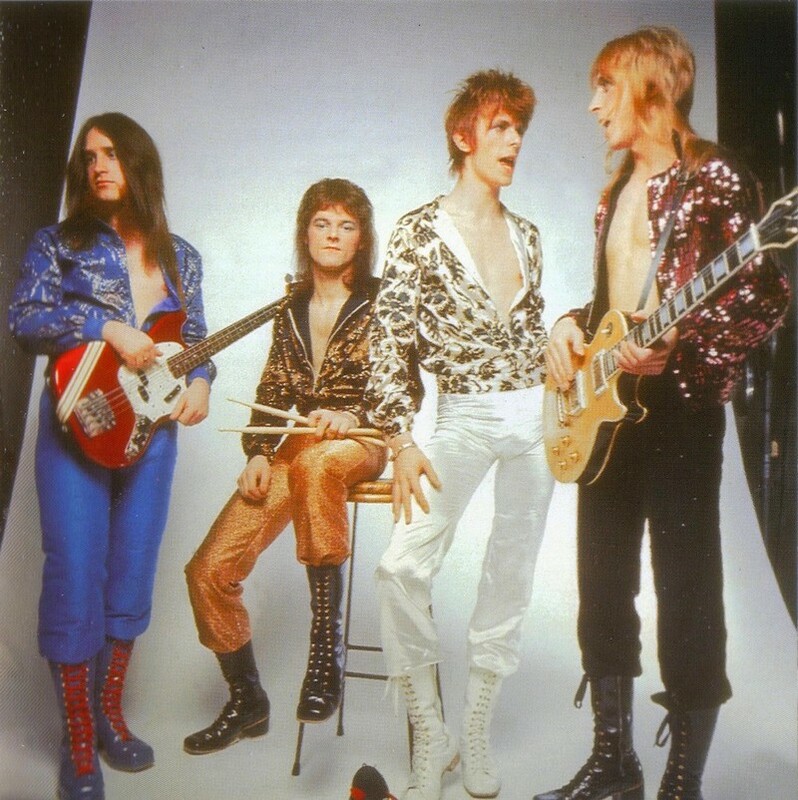 In this promotional shot for The Spiders from Mars, Bolder can be seen with a Fender Mustang Bass. "For bass, Thorpe mainly played Lexxx's '70s short?scale Fender Mustang bass through an Ampeg B15 amp, blended with a DI through a Tech 21 Sansamp." Brandon didn't make any appearances with this bass outside of FIDLAR's recent "40 oz. On Repeat" music video. It has some wear and tear here and there. > No, it's actually just a Mustang bass with flat-wound strings... I use that bass actually on quite a bit of [Mirror Traffic], which was another Beck idea, because that's not my usual style. But I think it came out sounding really cool. I may have even had a felt pick or something. 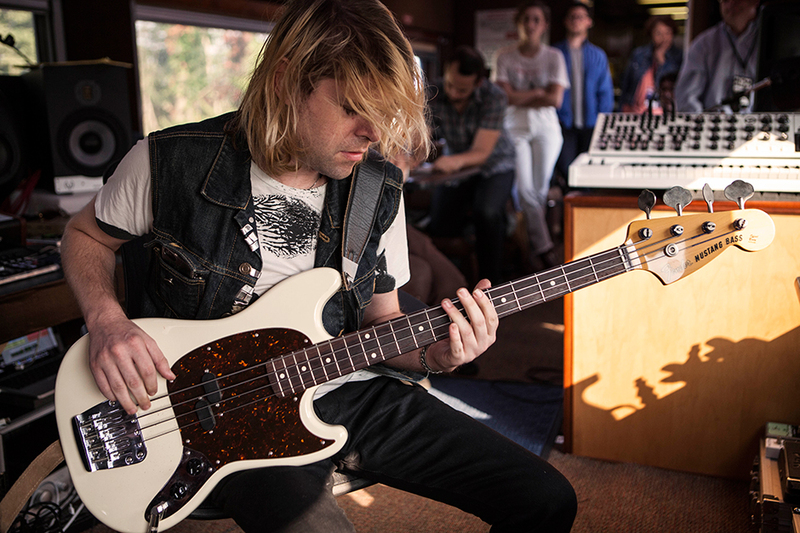 JMJ playing his Fender Mustang Bass. Shulman can be seen in the back of this photo playing a Fender Mustang Bass. Banton can be seen playing a Fender Mustang in a photo on this page. 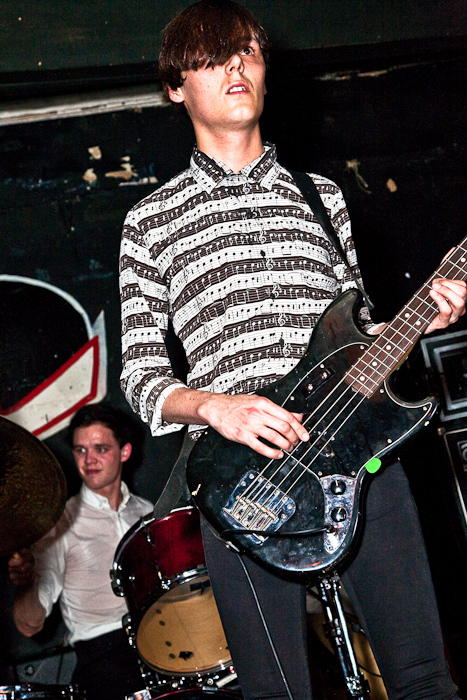 Hammill can be seen here playing a Fender Mustang Bass. "Just got this @fender 1972 Mustang bass!" Weymouth can be seen in this photo playing a Fender Mustang Bass. This [article from Vintage Guitar magazine](https://www.vintageguitar.com/23724/midge-ure/) talks about the making of Ure's *Fragile* album. It indicates that the "bass parts are mostly samples or synthesizers save for a few played on a Fender Mustang, chosen for its short scale." At around about 2:53-3:02 of the clip, you can see a photo of Butterfly Boucher playing (live) a Fender Mustang Bass. 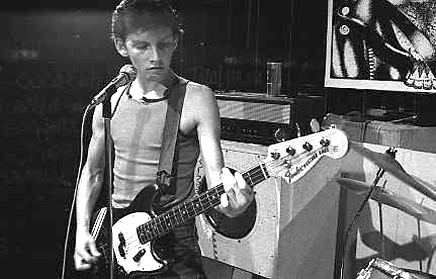 Perry can be seen playing a Fender Mustang Bass in a this photo. 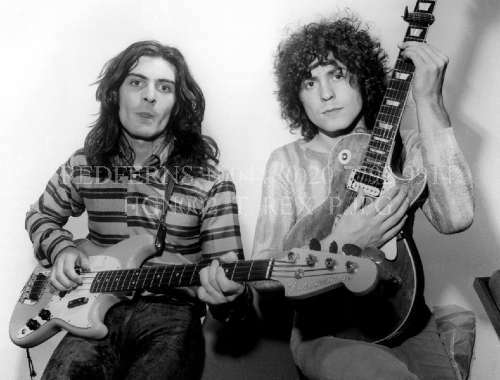 Roger used a white one to record Fireball during his transition from Fender P basses to Rickenbacker 4001s. 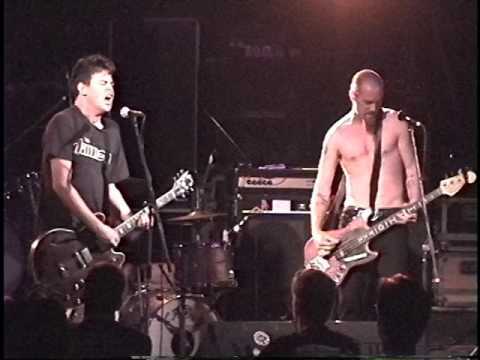 Starting at 35:23, Peter can be seen on the left playing a Fender Mustang Bass. In this photo, Evan Mast can be seen playing a red Fender Mustang bass. Original Orange Juice Bassist David McClymont playing a Fender Mustang Bass live. In this photo, which shows Hultquist's guitars used on "My Blind Brother" recordings, the Fender Mustang Bass is visible. At 0:43 you can see Dunham playing a Fender Mustang bass. Cantero is seen playing his Mustang Bass with a natural finish. 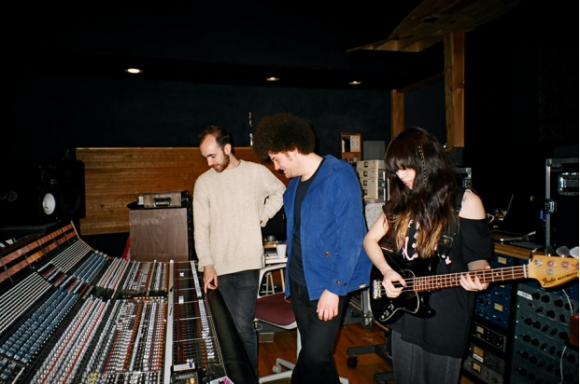 in this photo of Makeout Videotape, Alex can be seen playing a Fender Mustang Bass. at 1:09 in this video of the Frights playing Lollapalooza 2017, Richard can be seen tuning/playing his Mustang bass. In 1:28 the video you can see Denny Laine playing a Fender Mustang Bass. "thats a fender mustang bass, tone rolled all the way back, through a maxed out sans amp bass pedal, treble all the way up"
She uses it in her video "Foo Fighters Meets 70's Bobby Caldwell - Live Looping Mashup by Elise Trouw"
Answer from an Instagram conversation with the band. He currently plays a 1976 vintage model. It's the bass in her Instagram post. It's also the one that she's been using recently. This is the primary bass of Alec Castillo. It is the only bass he uses live. Won't be too extensive here. The Fender Mustang was my first bass and the short scale really helped me learn my way around the fretboard quite quickly. My favourite aspect of this bass was the ability to get a really round tone, similar to a double bass. I've been unable to reproduce this on anything else I've used so far.